The gospel has been lost. Somehow we lost what grace is all about and what Jesus preached that he was all about. Kids these days come back from camp talking about making Jesus "the Lord of their lives", giving their heart to the Lord, and giving up a great many things out of fear. What happened to the thankful heart? What happened to realizing that Jesus once and for all said "Father forgive them for they know not what they do...."? We have evangelicals criticizing Catholicism but in their own way having a works mindset. Catholics stand up for readings from the "Q Source" (Matthew, Mark, Luke, and John) but feel it not necessary to do so for the "lesser" readings of the epistles? Either way, we are all losing big time. And last, but not least, since when did Christianity become such an "exclusionary" religion? Hmmm, seems to me all of the apostles taught that you could judge a tree by its fruit. Paul said that regarding peace, joy, and love, etc. that against such things there is no law. How come we as Christians then exclude those of other faiths that seems to themselves exude the fruits of the faith we claim to preach? The true gospel has become lost in nonsense. Not lost to God. Lost to humans. Let's put away the clinging to faith in humans (the councils that formed the "canons") and let what God has showed us in the real world be our guiding force. 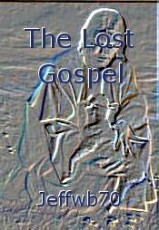 It's time to reawaken the "Lost Gospel". It is time to rediscover the Jesus that says : "....now to the one who works, wages are not thought of as a gift, but as something due them; but to the one who without any merits at all, trusts the God that freely justifies the ungodly, such faith will be credited as righteousness."